When a person is selling a property, it is normal to have many questions. One of the most common is how much of the sales price they are actually going to pocket. This is not the same amount as the total sales price of the home. It is not even the same as the sales price minus the outstanding mortgage. Read on to learn what else can lower the amount you get when you sell your home so that you have an accurate idea of what to expect. Then contact Berkshire Hathaway HomeServices California Properties at 310-373-0021 if you need selling your home. All of these potential fees should be taken into account when you list your home for sale. Many of the deductions that will come out of your net profits cannot be negotiated but many can. You will need a real estate professional on your side to negotiate your real estate contract. Some of the negotiable fees include the buyer’s closing costs that they may ask you to pay, the title search and title insurance policy payments (which can be paid by the buyer, seller, or buyer and seller), repairs the buyer requires, and repair credits you are asked to pay. Just about any property sale is going to involve the seller paying some of these fees. The point is not to reduce them to zero but rather to ensure that your asking price takes into account how much your bottom line will be affected by these additional fees. Before you accept an offer from a buyer, you should know how much you will really net. Your real estate agent will go over a Net Sheet with you, which will lay out all the fees you are going to pay and are likely to pay. 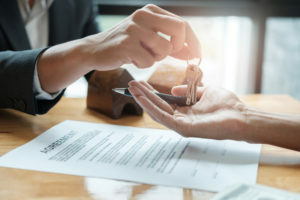 This is especially helpful if you have more than one offer because the larger offer is not always the best offer if it comes with additional – and expensive – stipulations. The best way to get an accurate idea of what you are most likely going to be paying and receiving is to contact a professional. You can reach Berkshire Hathaway HomeServices California Properties at 310-373-0021 now.